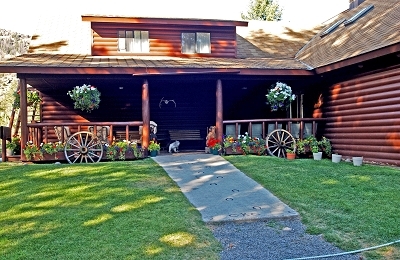 Blackwater Creek Ranch is situated in one of the most beautiful settings in the Shoshone National Forest and just minutes from Yellowstone National Park’s east entrance near Cody. Horses, cowboys, family fun and hospitality are their way of life! You can relax on your porch and let the sound of rushing water from the Shoshone River and Blackwater Creek soothe your soul. For your convenience wireless internet is available in their main lodge. Open May-September. Pets welcome.